Topographical postcards of places sorted by towns and villages by Counties and Cities. We continue to extend the website with a growing selection of Topographical Places Postcards, please keep calling back. Postcards of Scottish Places from A-Z, Towns, Villages and Regions, specialising in quality photographic postcards. Postcards of English Places from A-Z, Towns, Villages, Counties and Regions, specialising in Yorkshire postcards. Unknown Postcards, places, street scenes and social history for sale or to identify! Because Postcards can be filed under many different categories, we also recommend you use our product search (top right), just input a couple of key words that will help identify the type of postcard you are looking for. Pack of 100 polyprotec (r) soft plastic postcard protector wallets. 140 microns plastic - 6 inch by 4 inch, short side opening. 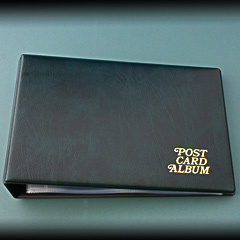 Glen Postcard album to protect, store and display postcards up to 6.5 inches by 4.2 inches. 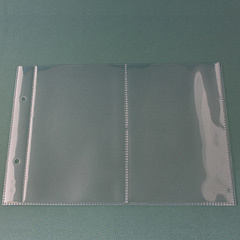 Supplied with 30 safe high quality polypropylene pages. Holding 2 vertical postcards per page. Blue Padded binder with 2 D rings and gold blocked text on the front cover (not green binder as used for illustration). Extra pages are also available. Holding 2 vertical postcards per page. Green Padded binder with 2 D rings and gold blocked text on the front cover. Extra pages are also available. 10 extra pages to go with our Postcard Display Album (pid:1749 and 1825). Each page has one large pocket to hold 1 postcard or item. Holding 1 large postcard horizontally or vertically per page, up to 22cm wide x 17cm. 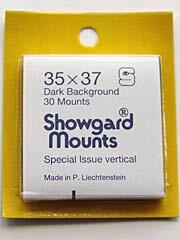 made from safe high quality polypropylene pages. (2 postcard pages illustrated). 10 extra pages to go with our Postcard Display Album (pid:1749). Each page has pockets to hold 2 postcards. Holding 2 postcards vertically per page, up to 11cm x 17cm. made from safe high quality polypropylene pages. 50 extra leaves to go with our Postcard Display Album (pid:1749). Each page has pockets to hold 2 postcards. 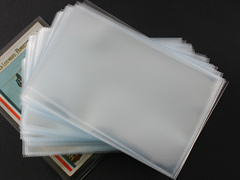 10 packs of 100 polyprotec (r) soft plastic postcard protector wallets. 140 microns plastic - 6 inch by 4 inch, short side opening. Suitable for most postcards, Made from refined polypropylene which contains no softeners or acids for safe and secure long term storage, protection and display of your postcards. (postcard not included!). 5 packs of 100 polyprotec (r) soft plastic postcard protector wallets. 140 microns plastic - 6 inch by 4 inch, short side opening. Holding 2 vertical postcards per page. Red Padded binder with 2 D rings and gold blocked text on the front cover (green binder illustrated). Extra pages are also available. 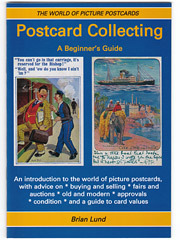 Postcard colours, contrast and shading can differ due to electronic reproduction, images not to size. Our postcards are one-off originals, these featured postcards are not available to view in the shop, stock is subject to availability.